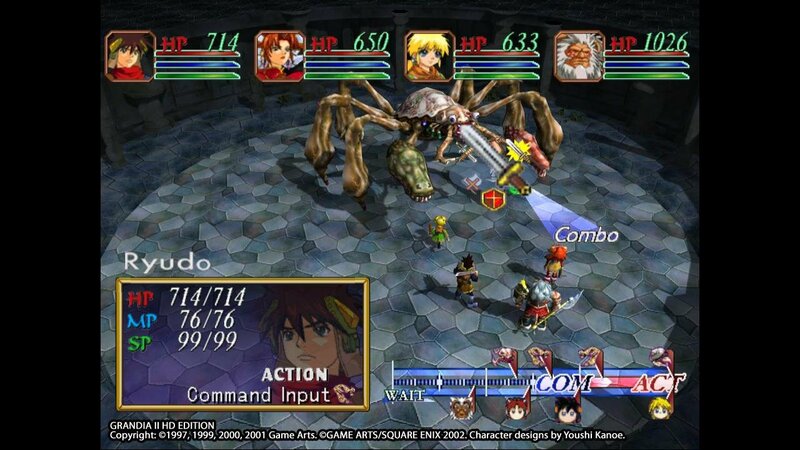 On August 3, 2000, Grandia II entered the gaming scene on the SEGA Dreamcast. Game Arts has certainly not forgotten this either, as they have a remastered version of Grandia II coming to the PC through their publisher, GungHo Online Entertainment America. The Anniversary Edition will be available on GOG.com and Steam. As the title states, this will release on August 24th, and will be on sale for $14.99 for a short amount of time. Afterwards, it will cost $19.99. The Twitter page of GungHo Online has also excitedly announced features such as gamepad support, a Japanese voice acting option, and an additional harder difficulty setting as well as the revamped HD graphics. Fans of the series better free up some time in their schedule next week for some retro RPG goodness.